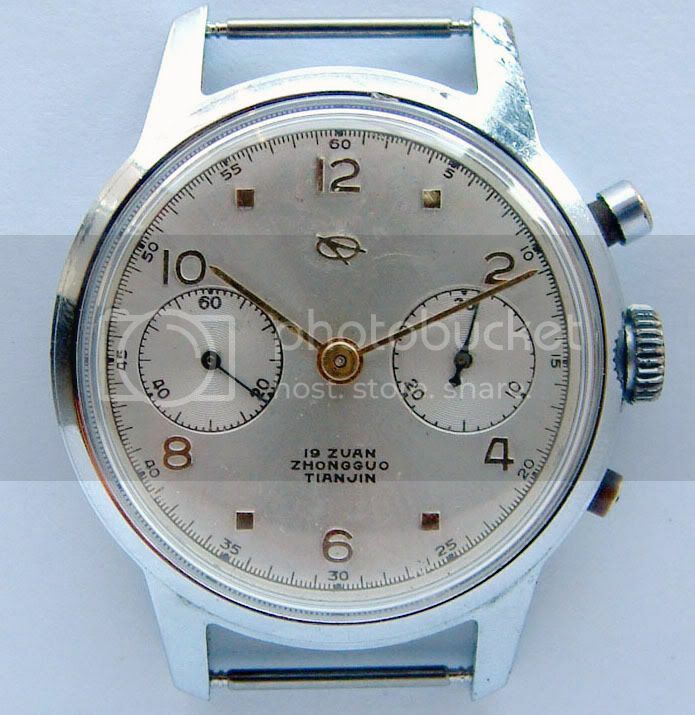 Thread: A vintage "Seagull 1963"
Today I received these two shots of a vintage Seagull 1963 from a Chinese watch collector - sorry, small pics. Last edited by cnmark; July 10th, 2007 at 18:46. Re: A vintage "Seagull 1963"
Thank you for the nice photos! Could never understand why the bezel ring is brass. The reissue is rather close to the original. Any more information from the collector? First: I changed the hosting of the pics above from flickr to photobucket - most WUS members in China can not see pictures hosted on flickr. 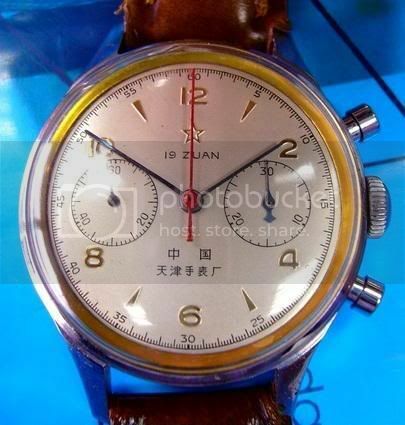 The "1963" in my original post is in possession of Seagull in Tianjin - and unfortunately (but understandable) not for sale. 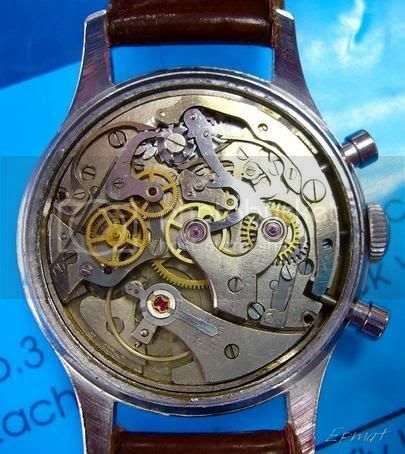 I gave the pictures posted by Zhang on Jan. 11 2007 (and reposted here) to Seagull with the question "what do you know about this watch?" I got only educated guesses as reply: Most likely from 1967, done for civilian use, maybe airline use. Case is different (see lugs). The logo on the watch above did not ring any bell, Seagull has used different logos (and even different names) through the times. 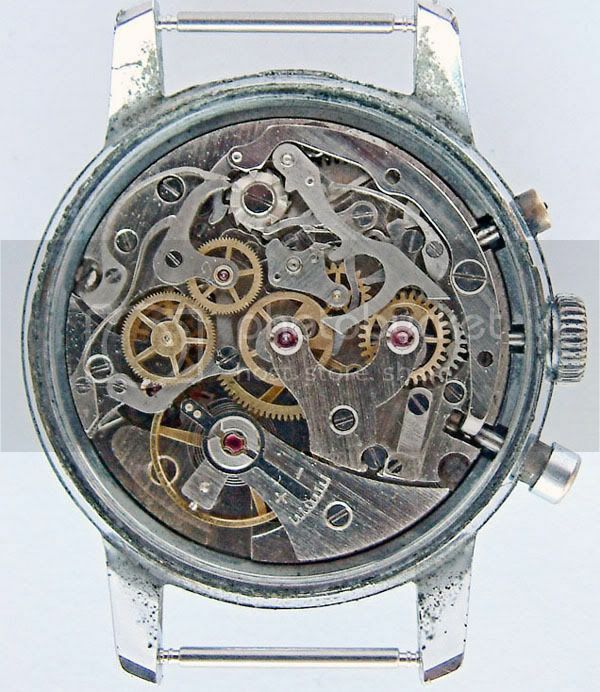 On a tangential point: has any one dealt with Seagull Watches USA on eBay? They have a number of Seagull models there and I'm wondering about any one in this forum's encounter with them.